After spending most of last season as a backup with the Dubuque Fighting Saints of the Tier I United States Hockey League, goaltender Evan Fear headed back to Tier II with the North American Hockey League’s Springfield Jr. Blues. Instead of sulking over what could be considered a demotion, Fear took everything he learned at Dubuque and applied it to his second tour of duty with the Jr. Blues. It’s been a memorable return to Springfield, with another chapter beginning Friday night in Janesville, Wisconsin. “I think Evan’s oozing with confidence right now,” said first-year Jr. Blues coach Tyler Renette, who’ll guide the team into a first-round NAHL Robertson Cup playoff series against the Janesville Jets. The 18-year-old Fear, a Winnetka native, has played a big role as the last line of defense for a Jr. Blues team making its first playoff apperance since 2013. For the season, Fear has two shutouts and a 2.39 goals-against average. That ranks him in the middle of the NAHL pack. But Fear was in goal for six of Springfield’s eight straight wins to close the regular season, including two shootout victories in which he stopped all five penalty shots he faced against Janesville on March 28 and the Minnesota Magicians on March 30. Fear’s backup is rookie Jurja Ovecka, a native of Slovakia who owns the other two victories in the eight-game streak. “The goaltending position is an interesting one,” Fear said. “There can only be one guy in the net at a time. Fear joined the Jr. Blues late in the 2015-16 season. His best memory from that year was getting to play one game with older brother Erich Fear, a defenseman who spent that one season in Springfield before enrolling at the University of Denver. Erich was a member of Denver’s NCAA Frozen Four national champions in 2017, although Evan had another commitment that kept him from joining his family to watch Erich and Denver win the Frozen Four at the United Center. Fear was still with the USHL Dubuque team at that point. He was the backup goalie, but he still got to play in 16 games. Practice time was equally important in his development. Fear started the next preseason — for the 2017-18 campaign — with Dubuque. But he said a coaching change and his own sub-par play led to him being released. But the Jr. Blues welcomed back Fear with open arms. Rennette, who was a Jr. Blues assistant to Tony Zasowski last year, knew Fear’s potential. Experience on the roster was a priority for Rennette this season as he added older players in hopes of making a push to the playoffs. “I think there were two points in the regular season where (more experience) was pretty relevant,” said the 18-year-old Fear. “At the start of the year when I came here, there were a lot of teams with young guys and not much experience. That helped us early. Fear has been there, in both the USHL and the NAHL. Now comes playoff pressure. “I always get nervous before a game,” Fear said. “There are some butterflies there. Springfield Jr. Blues athletic trainer Devin Spears of ATI Physical Therapy teamed up with Springfield to raise $556 for the ATI Foundation. The ATI Foundation supports children with physical disabilities. In 2017 the Foundation raised more than 1 million dollars, reaching more than 700 beneficiaries. Children received equipment not covered by insurance and financial assistance for medical services. Other expenses covered by the ATI Foundation include funding therapeutic horseback riding, and funding for travel and lodging for families traveling from out-of-state for care. In 2018, ATI Foundation set a goal to raise 2 million dollars to erase their waiting list of 100 children in need, while also allowing them to build a foundation for future children in need with their organization. Each employee was tasked with raising $100 or more toward the foundation. When athletic trainer Devin Spears, who works for ATI Physical Therapy in Springfield, asked the Springfield Jr. Blues for help in raising money for the cause, team owner Dan Ferguson stepped up to the plate and offered to give 100% of the profit from the sale of the team throwback vintage logo t-shirts to the ATI Foundation on behalf of Spears for any shirt sold in March. In the end, Ferguson wrote a check to ATI Foundation for $556 dollars, surpassing the $100 goal set by ATI for their employees. To make a donation or nominate a beneficiary, visit the ATI Foundation website. Springfield forward Max Brainin has a lot to be excited about this week! After finishing strong with three points over the weekend against the Coulee Region Chill, Brainin is headed to the playoffs with Springfield, and then was named the Bauer Hockey Midwest Division Star of the Week. 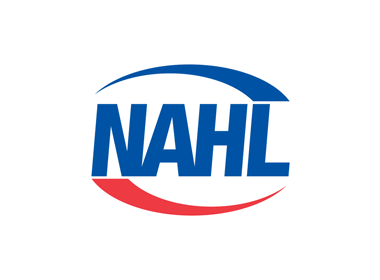 Winners of their last eight straight, one of the hottest teams entering the 2018 NAHL Robertson Cup Playoffs is the Springfield Jr. Blues. That hot play continued this past weekend as the Jr. Blues picked up a weekend road sweep of the Coulee Region Chill. Forward Max Brainin, 19, had three points in the two wins for the Jr. Blues and was also a +3. On Friday, the 6’0/190 lbs. native of Buffalo Grove, Illinois, had a goal in a 4-3 win over the Chill, and then on Saturday he had the game-winning goal and an assist in a 3-2 win. For the season, Brainin finished 3rd in team scoring with 40 points in 57 regular season games. “Max has really elevated his game the last few weeks. He is committed to the team game and with that he has had a ton of individual success. We will be counting on him to continue his strong play in the playoffs,” said Jr. Blues head coach Tyler Renette. The Jr. Blues jumped out to a 3-0 lead and held on for a 4-3 win against the Chill on Friday. The loss was the 7th in a row for Coulee Region. The Jr. Blues got goals from Brandon Puricelli, Max Brainin, and Patrick Smyth to take a 3-0 lead early in the 3rd period. The Chill mounted a comeback with goals from Sam Dabrowski and Andrew McGlynn, but a goal from Springfield’s Sam Swanson secured the win. Connor Zilisch had the other goal for the Chill. Jurja Ovecka made 31 saves in the win, while Mitchell James made 31 saves in the loss. This weekend the Springfield Jr Blues will be hosted by the Coulee Region Chill in La Crosse, Wisconsin. The teams will play, Friday and Saturday evening before Springfield practices at home and then heads out to Janesville next weekend to start the playoffs. Be sure to mark your calendars for Friday and Saturday, April 20th and 21st (April 21st will only be played if necessary). Your Springfield Jr. Blues are home for their first home-stand of the post season. Be sure to come out on Friday for Happy Hour with $1. Coors Lite drafts from 5:45 until 6:45, $2 Blue Moon, a live band, and the puck drop at 7:05. Saturday (if necessary) the guys are back in action with the doors opening at 5:05 and a puck drop at 6:05. Brandon Koch: Koch has earned 40 points this season, 34 of which are assists. With six goals, Springfield will have to keep an eye on his play and limit his chances to set up scoring. Emil Zetterquist: The Coulee goalie is 14-19 so far this season. He sports a save percentage of 0.916 and a GAA of 3.08. Marcus Walter: Springfield forward Marcus Walter has logged 21 points this season with Springfield. He has 5 goals and 16 assists. He has one power play goal, nine power play assists, and one game winning goal. Nikita Kozyrev: Springfield defenseman Nikita Kozyrev has logged 38 points this season, with 14 goals and 24 assists. He has two power play goals, 10 power play assists, one game winning goal, and FIVE shoot out goals, more than anyone else on the team. Evan Fear: Goaltender Evan Fear sports a save percentage of .929 this season, with 2.41 GAA. His shootout save percentage is 0.923. He is 18-11 so far this season for the Springfield Jr. Blues, and he will look to stay hot this weekend!